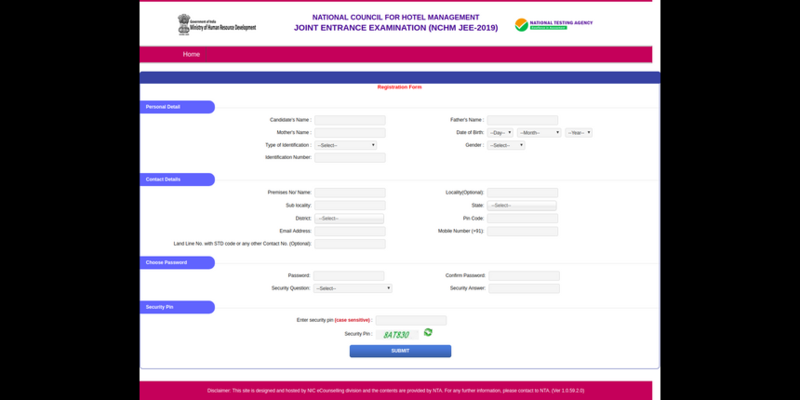 How To Fill NCHM JEE Application Form 2019 - National Testing Agency released the NCHM JEE 2019 application form in online mode. 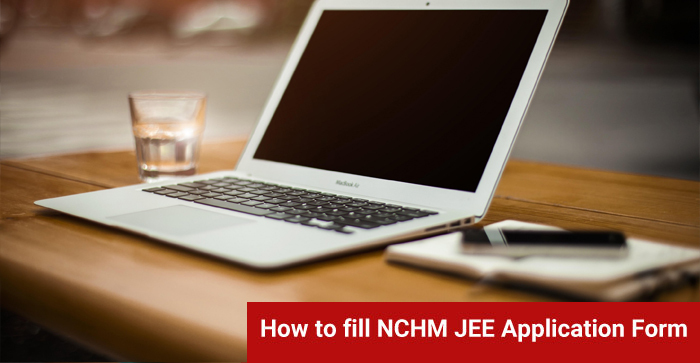 The question that confronts the students is “how to fill NCHM JEE 2019 application form.” The steps that need to be followed while filling the NCHM JEE 2019 application form include the information that need to be furnished for registration, filling of the application form of NCHM JEE 2019, uploading of the necessary documents, payment of the examination fee and downloading of the confirmation page. 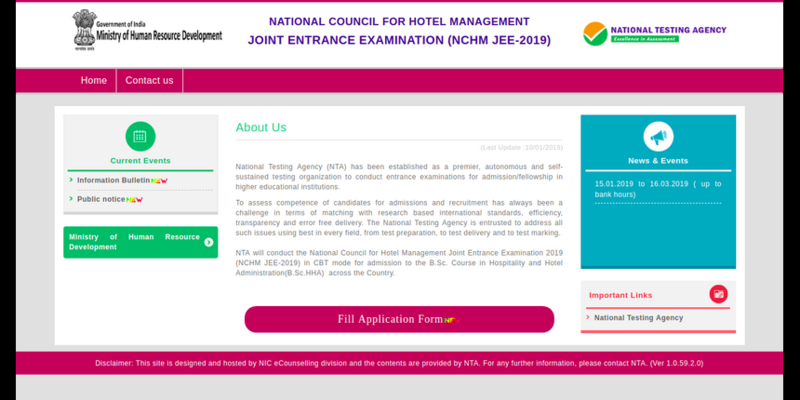 NCHM JEE will be conducted on April 27 and the last date for the submission of the form was March 25, 2019. 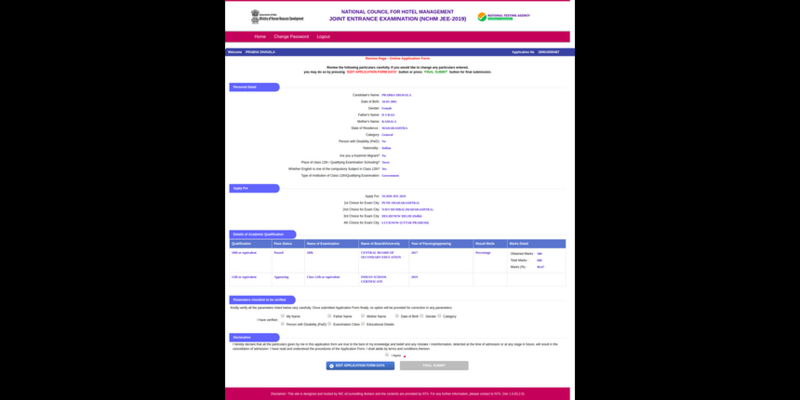 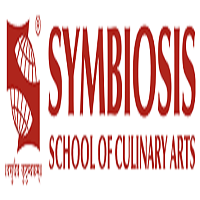 Careers360 brings the step wise guide as to “How to fill NCHM JEE Application Form 2019” so that the students do not face any hiccup. 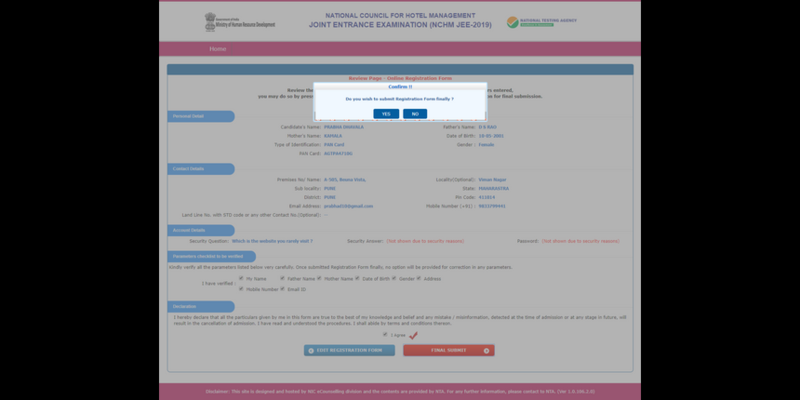 After clicking on the apply button, candidates will get to see the instructions that need to be followed while filling the NCHM JEE 2019 application form. 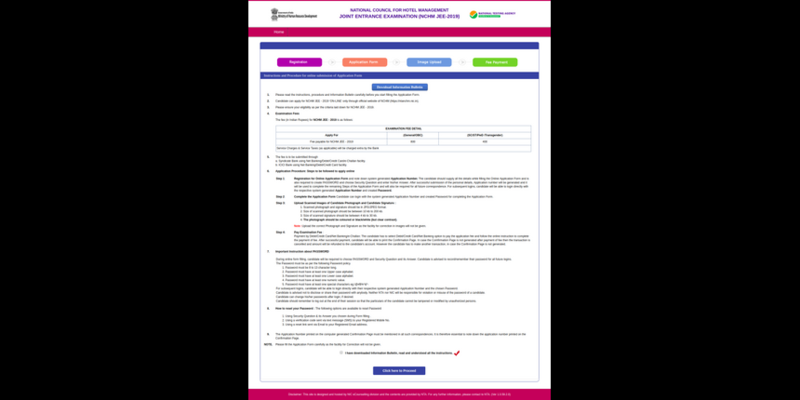 Check the box outside of which it is written that the candidate has download the information bulletin, read and understood all the instructions. 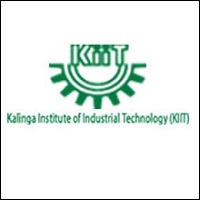 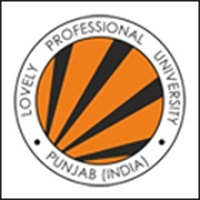 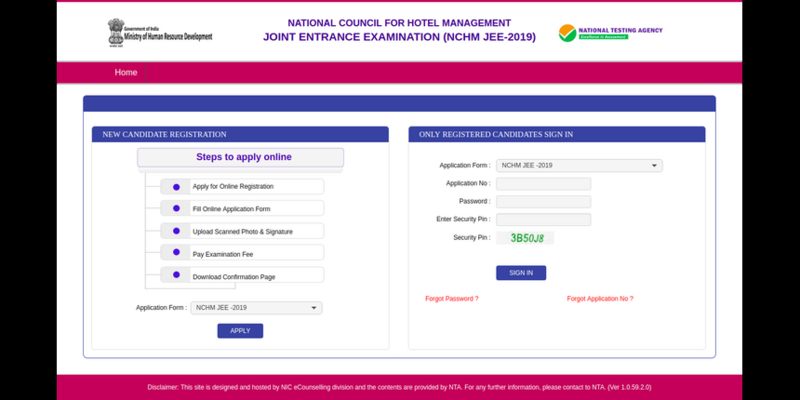 In this part of NCHM JEE 2019 application form candidates have to fill all the necessary personal details, contact details, select the password, and the security pin after which click on the submit button. 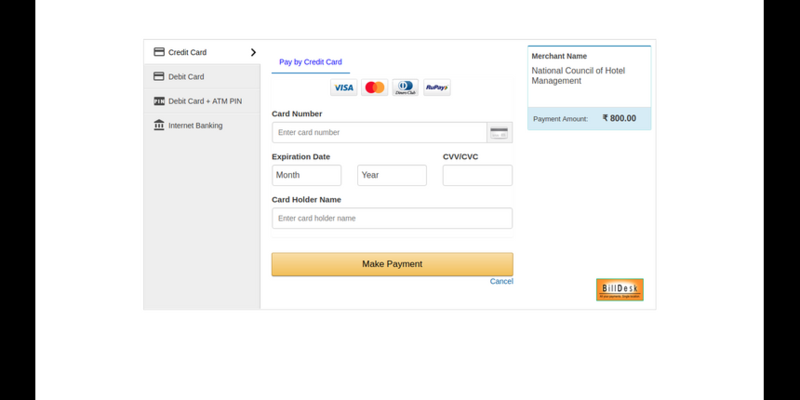 and then click on the final submit button. 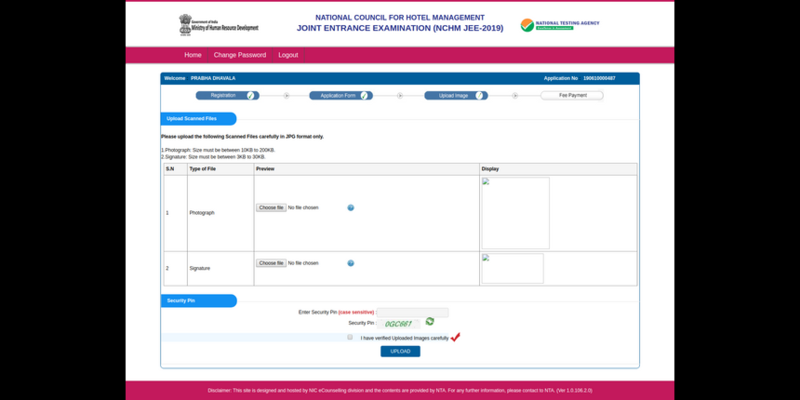 Step 6 - A window will appear on the screen asking the candidates if they want to submit the NCHMJEE application form 2019. 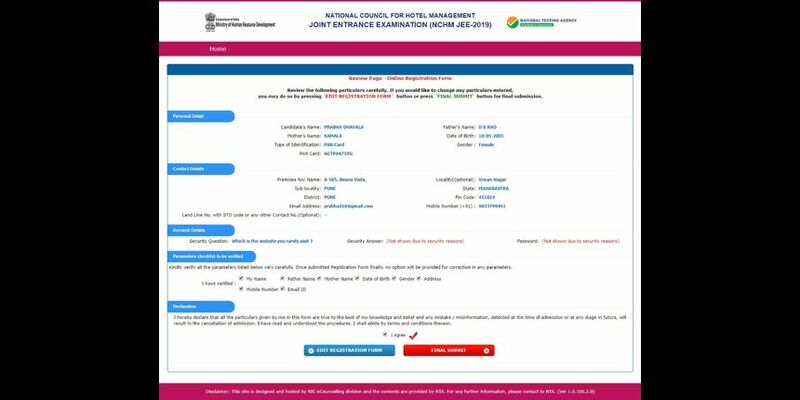 Select the NCHM JEE 2019 exam centres according to preference. 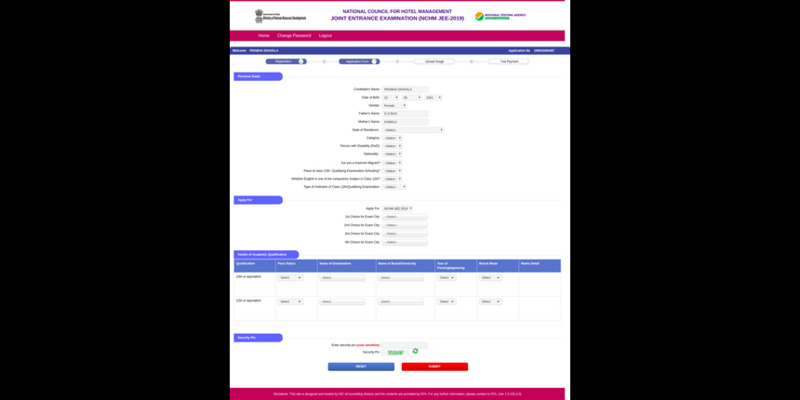 Candidates can select at least four of them. 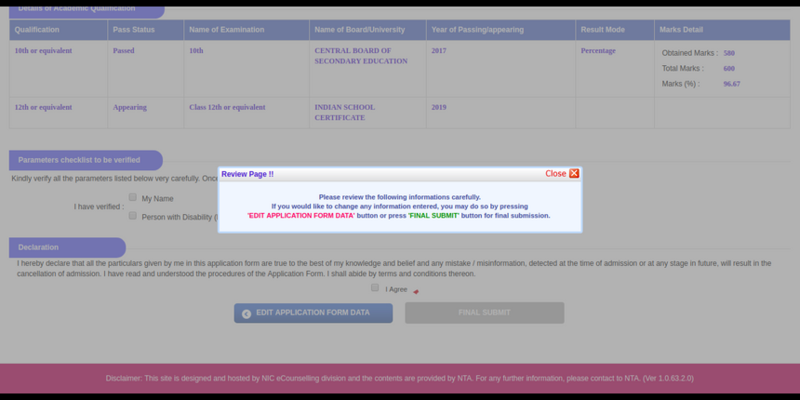 Step 10 - Check the parameters that are listed and then click on the Final submit button. 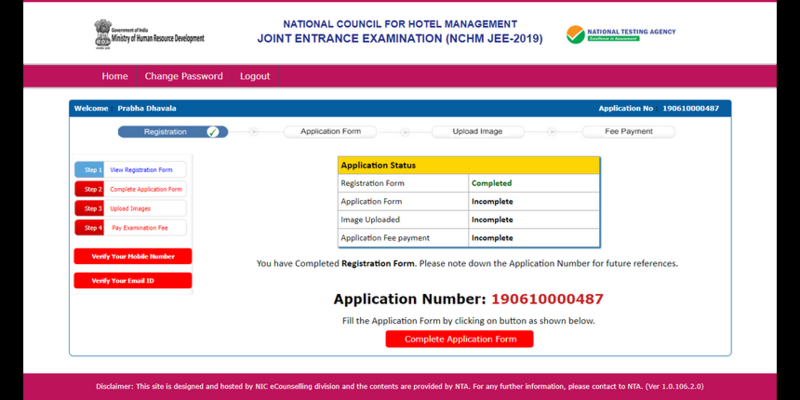 Step 13 - The status of various segments of NCHM JEE 2019 application form will appear on the screen. 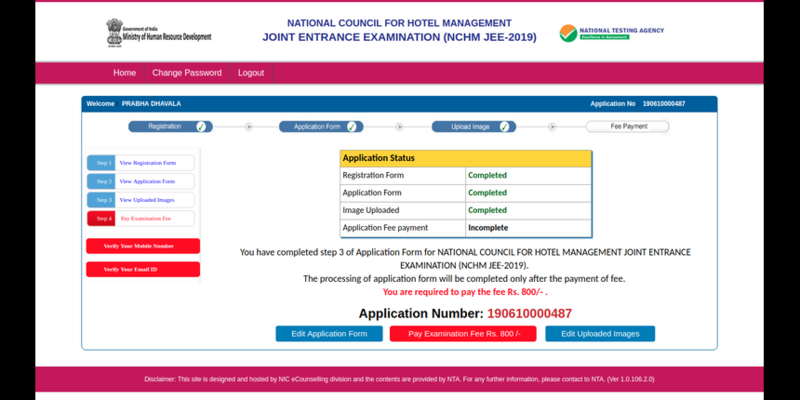 Candidates now have to choose the mode of payment of filling the NCHM JEE application form 2019. 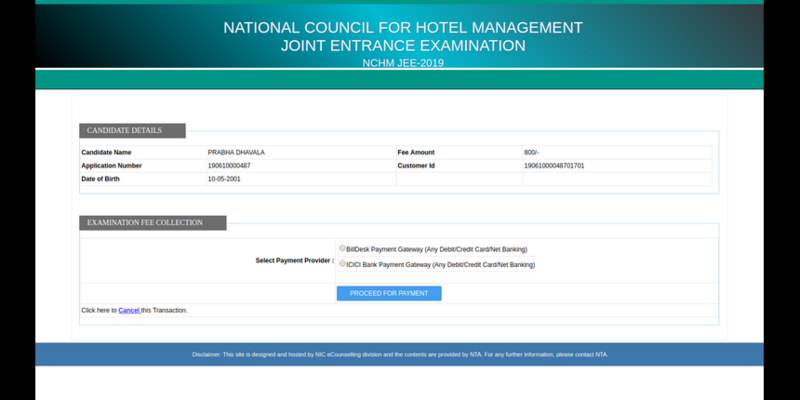 Once the candidates have made the payment they receive a confirmation message stating that they have successfully filled the NCHM JEE application form 2019. 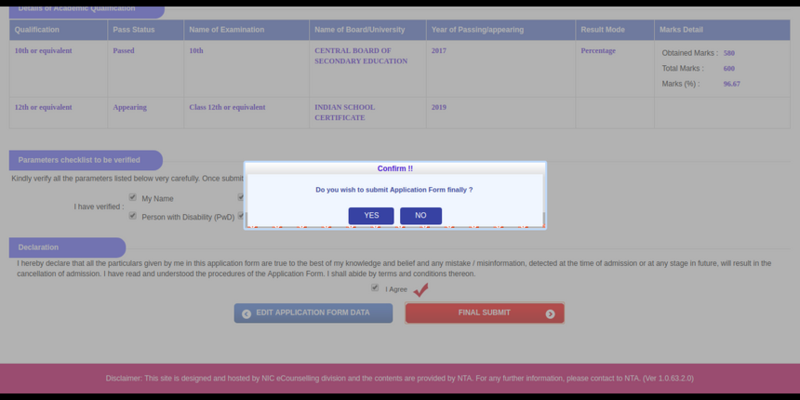 Candidates have to successfully download the confirmation page and take its print out.